Winter is coming, we have put the 3/2 mm wetsuits away in the closet to bring out the 5/4 mm! But what to do with your old Neoprene wetsuits with holes, too small…? As a matter of fact, your wetsuits are as recyclable as plastic bottles, so when you throw your suit in the garbage, they are buried or burned and the gases released during incineration are very toxic ! 1 – Give them to associations ! Of course at first, and for combinations that are still usable think about associations ! They regularly look for materials, such as: Les Surfeurs Solidaires, which collects material to redistribute from the coastal areas of Africa; ReSurf, which manages the country’s community clubs to initiate young people in difficulty to Surfing and its values; WarmCurrent, organizes free community camps for youth on the east coast of the US. 2 – Sell them ! 3 – Fix them ! Head teaches you how to repair your wetsuit in video. 4 – Recycle them ! 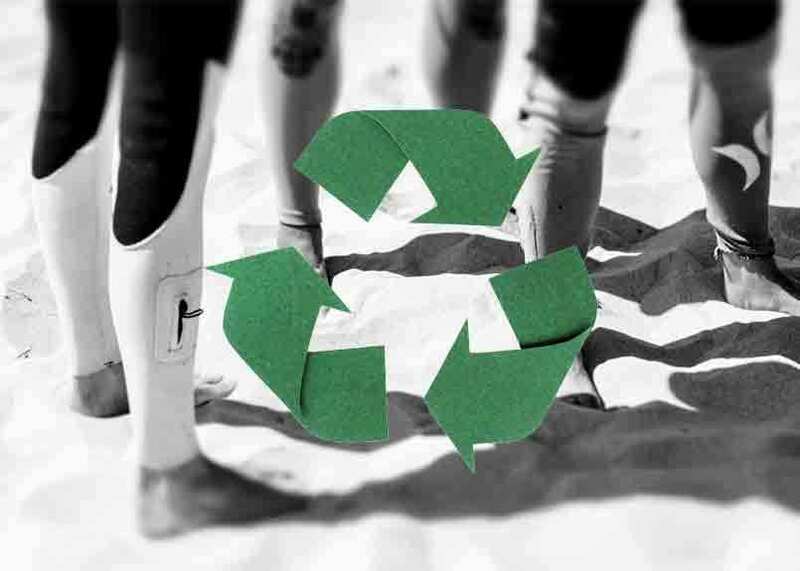 Some brands are specialized in recycling Neoprene combis from which they create a lot of everyday objects ! Among them, Néocombine who makes bracelets, key rings or bags. Suga recycles the combinations into unique yoga mats. Lava Rubber makes coasters or Téorum the French brand that gives new life to your suits by transforming them into clothing.